The Firebox S5510 has been discontinued. No direct replacement is available. Our premium model, the S5510 Series delivers an attractive, slim, space saving design with the addition of stereo speakers to interface with all multi-media applications. 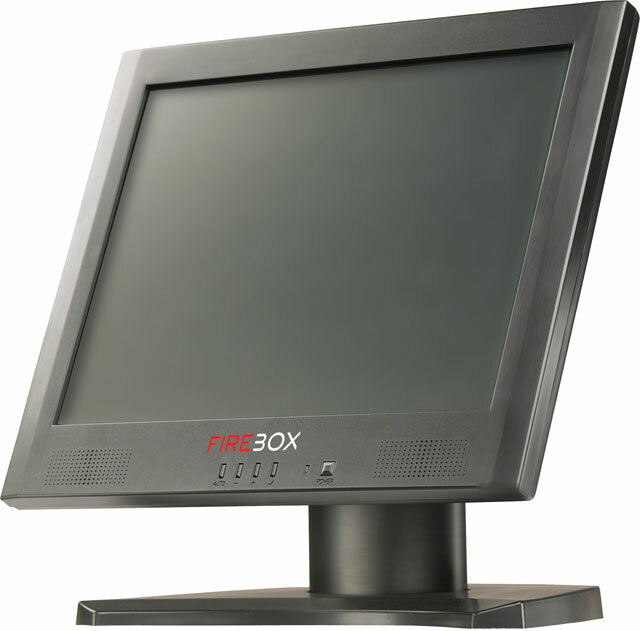 A feature rich model, the S5510 Series incorporates a bright, high contrast ratio 15 TFT LCD with wide vewing angels to improve image quality at various viewing angles. Available in either resistive or capacitive touch sensors which interface to serial, USB or dual touch controllers. The ability to easily integrate an MSR or Biometric scanner coupled with stability of our mounting base makes this touch monitor a winner no matter the application.